There is something about the acoustics of a shower stall that make people believe that they can sing even when they know better. You know who you are and I am one as well. 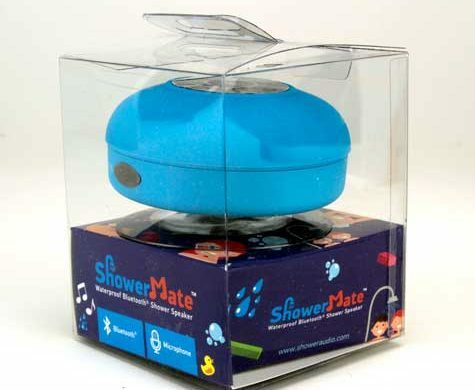 If you are a practitioner of bathroom karaoke you will want a ShowerMate Speaker. This Bluetooth waterproof shower speaker is about the diameter of a baseball with a suction cup on the back. The ShowerMate doesn’t stick to the textured tiles in my bathroom but it will attach to a smooth surface like a mirror. 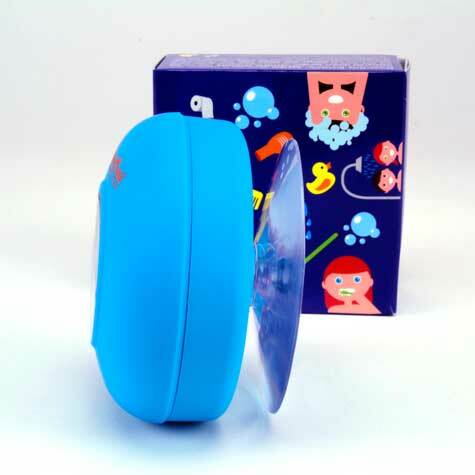 The speaker is on the rear of the unit making the suction cup an important sound baffle. When the unit is sitting on or attached to a hard surface the volume is impressive for its small size and budget price. This system is also a speaker phone. If an important call interrupts your operatic aria in mid-shower you can pick up the line without involving a towel. It is a good thing that this is not a video speaker phone. The opera will wait for you. 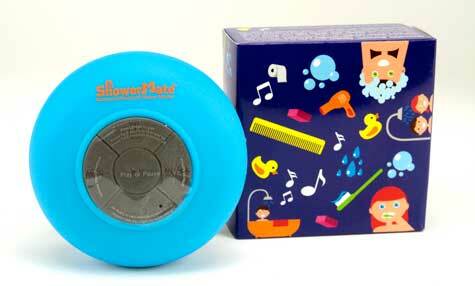 The ShowerMate Waterproof Shower Speaker recharges with an included USB to micro USB cable. I have used mine for podcasts or music for a couple of weeks with out recharging. Your mileage may vary depending upon your musical tastes or your personal hygiene regimen. The sound quality is not of high fidelity in this monophonic speaker but everything sounds better in the shower. Even Guy and Gaz of the MyMac Podcast. The price point is right and the battery life is long. 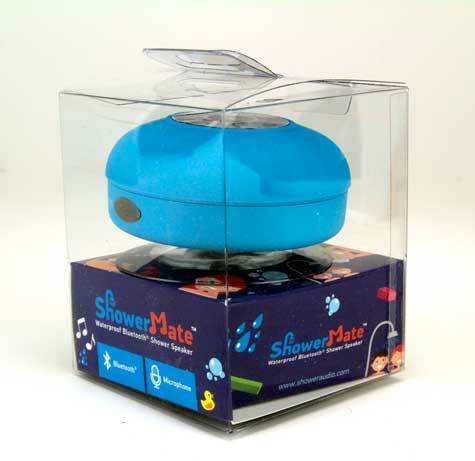 The ShowerMate is available in black, white, a variety of colors, and even zebra stripes. Karaoke anyone?